4th February 1915. Richard Fitzgibbon, F Social 1904. Lt, 128th Pioneers, Indian Army. Died of wounds received in the Defence of the Suez Canal. Mentioned in despatches. Record of a citation: Major General Sir A. Wilson’s recommendations: 128th Pioneers. 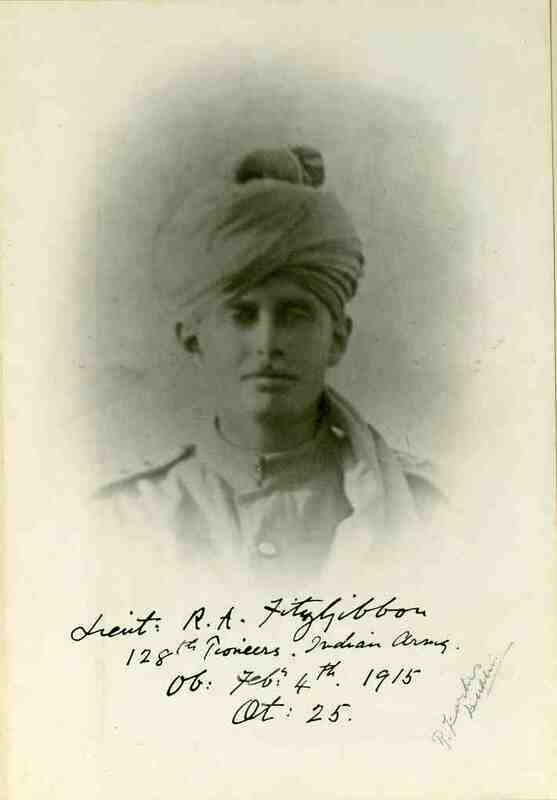 Lieutenant R. A. Fitzgibbon behaved with conspicuous gallantry. When severely wounded he ran a considerable distance under fire to the 5th Egyptian Battery. He has since died of his wounds. He twice coxed the Radley VIII at Henley Regatta. Posted in Commemorating the Fallen of WW1 and tagged career serviceman, died of wounds, Egypt & Suez Canal, F Social, Indian Army, Lieutenant, mentioned in despatches, Middle East Campaign / Mesopotamia Campaign / Iraq / Egypt / Palestine on 4 February, 2015 by archives602.